Black Skimmers are one (of my many) favorite birds to observe. They have such interesting features. 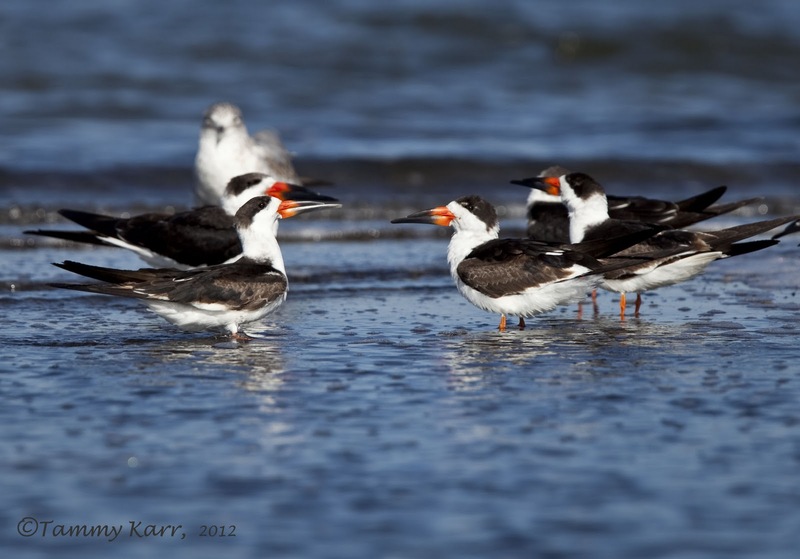 They have a unique large, orange and black bill, and their lower mandible is longer than their upper. I really enjoy watching them "skim" the water's surface for prey. 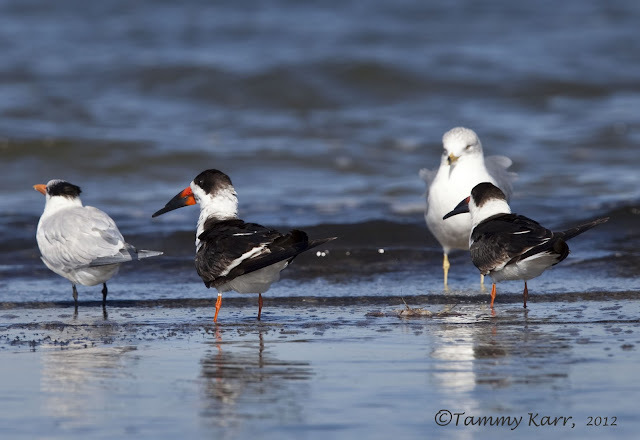 I didn't observe any skimming on Saturday when I saw this group of Black Skimmers on the shore of the Indian River just east of the Max Brewer causeway. 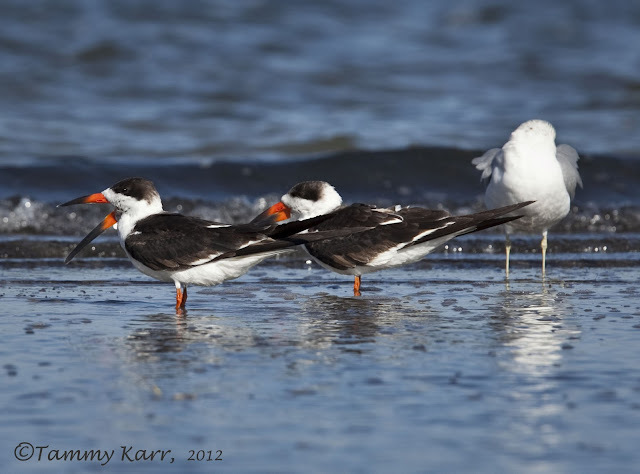 They were mingling with some gulls and terns in an area that provided some protection from the wind. Wow, I've never come across this one, it is beautiful. Tammy, you're a real treasure, cheers. Very, very nice Tammy! Thanks for sharing these!! 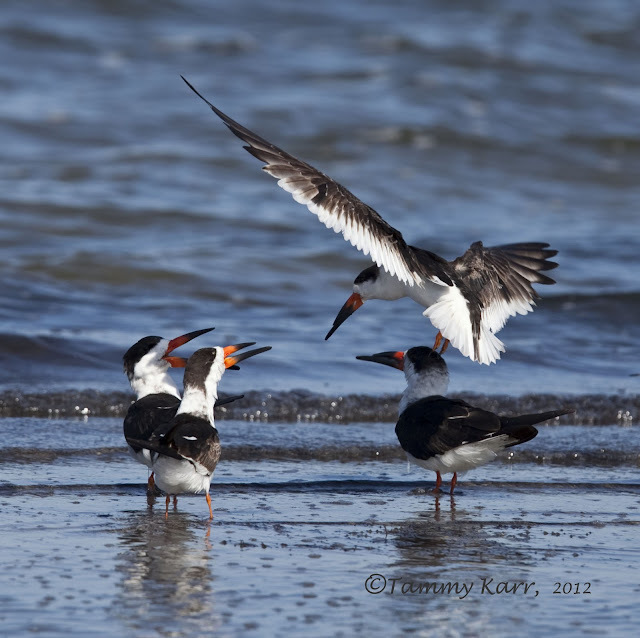 Lovely images of fascinating birds Tammy! Thank you very much Mia! They are so interesting! Nothing like these here in the UK, smashing images.........again! Curiosa ave. Las fotos tan buenas como siempre. They are definitely very curious looking! Thank you Ramon! What a bill on that. You will have to get some shots of them in action Tammy, great shots. I would love to get some skimmers in action, I will keep trying:) Thanks Marc! This is a specie that we dont have here in Norway, nice birds. Pic five is the best one I think, a lot of action there. Very unique birds! I can see how the bill is designed for skimming. Love the colors! They are quite unique looking! Thank you! Quite interesting birds. Very nice captures. Not sure if we have them on the Maryland shores but next time I go I will be watching for them. Maybe in the summer? I hope you see one! They are fun to watch! Thanks Shaun! That sounds like a cool show! Thanks and I will definitely visit your blog! 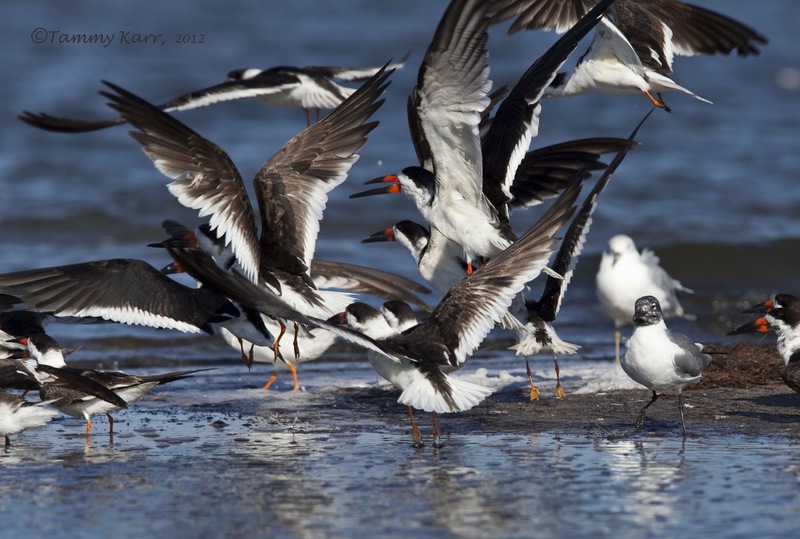 I was there and saw those skimmers flying away as I approached that morning. Glad you got to photograph them. what a wonderful colorful bird..we don't have them here in B.C. 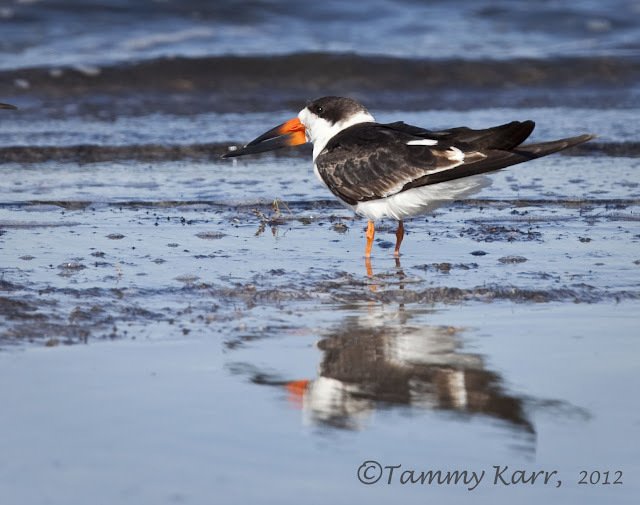 and I can't even think of what they would be similar to..I really enjoy your bird photos Tammy. Wow, what a stunning bird spices. Always love to see skimmers -- great shots!